Today we are going to talk about photography. 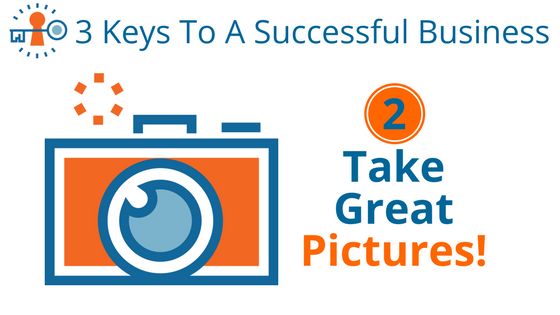 Regardless of your business type, you need great photos to sell your products and services. Let’s face it, most people aren’t going to read all of your beautiful, well-thought out sales copy. It is the pictures that really matter. The images that you use on your website and throughout your marketing obviously show potential customers what your products look like, but they also tell them a lot about your brand and organization as a whole. 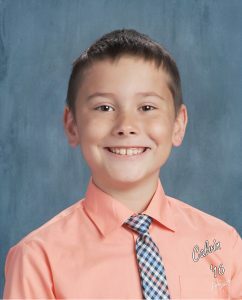 Good looking kid, nice smile, suitable for framing and giving to grandma. This would be a fantastic headshot for him to use on his website, showing him in professional, pleasing attire, in front of an attractive, unobtrusive background. He could be assisting you with your legal needs, handling your accounting, or creating a fantastic online presence for your business. This photo instantly lends him trust and credibility, because it is obvious that it was professionally taken. That shows that he cares about his appearance and the image that he projects, which translates into him also caring about the level of service that he provides you. Calvin is a multi-faceted, talented guy, and that is great. 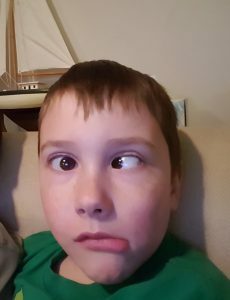 However, I’m sure you can see how this particular photo may not help him build a professional image for himself or help him attract more clients for his business (unless he provides training on eye-crossing). Depending on your business type, there are different kinds of photos you will need to paint a complete picture for your visitors and guests. Every business owner or manager should have professional headshots taken, and updated every 5-10 years. There are many ways that you can use these for brand promotion, but more than anything, these work as fantastic trust elements. It is much easier to trust someone when you see their helpful face smiling at you, even if it is just a picture. Photos of the inside of your business and your facilities, as well as your employees in action, make for impactful images that create a feeling of getting a “peek behind the curtain”. People love to see what goes on behind the scenes in your business, and they feel a stronger emotional connection to you, your business, and staff. It also provides comfort that you are not just some guy in a basement. Product Glamour Shots are exactly what they sound like- great images of the best examples of your products looking their finest. These can be action-shots or professional product photography, depending on your intended use and needs. We recommend having both, as professional product images allow you to focus on specific features, while action-shots tend to be more engaging. The perfect shot can vary, depending on your intended use for the image. If you are taking a picture of a vehicle wrap that you have completed for a client, you may want to get some close-up shots of particular elements to show detail, as well as full-vehicle shots that show the complete project. Targeted- Since pictures are such an important part of your message, they need to be as targeted to your audience as the surrounding text. Compelling- Not only should your images be related to your message, they should be impactful and create a specific feeling or mood that you want to be associated with your product or brand. For example, we used the example of the child early in our article. Since this is an article targeted to business professionals, a picture of a child is unexpected and eye-catching. You are curious about why that image is there, and it forces you to read part of the message. Many business owners are also parents and grandparents, so the child’s image also creates an emotional connection. Action-Oriented- Research shows that people show a more positive response to images that show a product in use, rather than a static image of the product itself. For example, if you have created a trade show banner, you can lay it on a table and take a picture, or you can have a picture of it at the trade show, actively generating buzz for the booth. Which of those images do you think would be more compelling to the viewer? Framed & Focused- So this seems straightforward, but here it is. Make sure that the proper elements of your image are in-focus and within the frame of your photo. Golden Nugget: While we can crop a photo down to focus on a specific area, we can never add something that didn’t make it in the shot. Make sure that you get full, complete images for maximum utilization. Take LOTS of pictures– there is no such thing as wasting film anymore, so take as many photos as you need to get the perfect shot. Take wide shots, tall shots, and shots from different angles. We would much rather have to search through many pictures to find the perfect shot than just end up with one that we “guess will work”. Take pictures often. 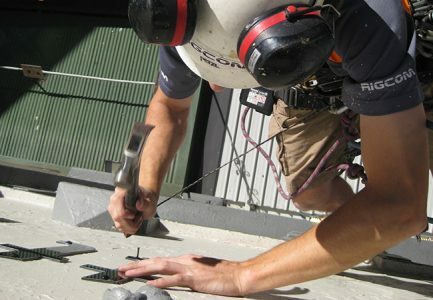 Whether you are working in the shop, visiting a client, or on the site during an installation, take pictures. Get before pictures when you first visit a business, pictures of your team hard at work, and glory shots of the finished product. If your product looks different at different times, such as at night, then make sure to capture those variations as well. Review photos in between to assure they are level, centered, and focused properly. There is nothing worse than getting 50 perfect photos and then realizing your finger was in all the shots, or that they are all slightly off-level. Pay attention to the background. If you are taking pictures indoors, such as headshots or action-shots, make sure that everything is neat, clean, and orderly. Headshots should be taken against a solid backdrop free of wrinkles or other unprofessional elements such as fire alarms. If you are taking photos outside, look for a nice day, and that the entire image will be attractive. This means try to avoid powerlines, kids giving the middle finger in the background, and any other elements that might mar your otherwise perfect shot. 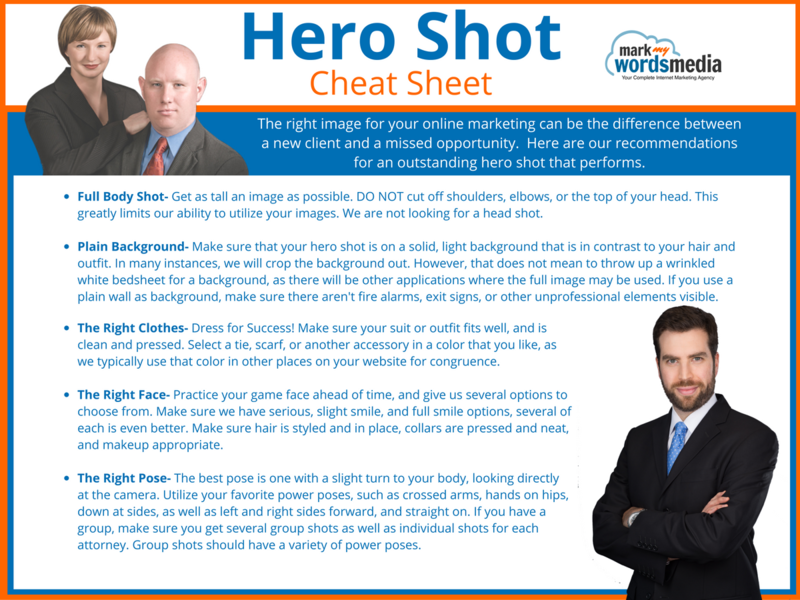 Need Assistance with Getting the Perfect Shot? Contact Mark My Words Media today at (877) 721-8491 for personal assistance with selecting and utilizing the right images for your marketing needs.